Boiledbeans » Command line is good enough. No? Command line is good enough. No? Identify this really popular software. 2 is its mascot. And yes, this question is on time. After a long long time. Phew! 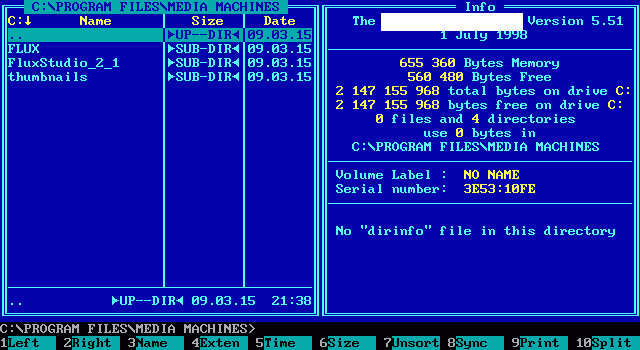 Norton Commander, the first orthodox file manager. The connect to previous question is that John Socha wrote the first screensaver and also wrote Norton Commander. Norton Comander is the software. It’s connected to the previous question through screensavers. John Socha coined the term and wrote a screen saver for Norton Commander and was probably the first to create a screen saver. 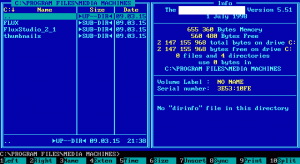 Norton Commander was a prototypical orthodox file manager(OFM), written by John Socha and released by Peter Norton Computing(later acquired by the Symantec corporation). Norton Commander and Captain Norton. Wasn’t Starry Night first done by Peter Norton? Nope, it (Night Sky with Stars) was even earlier and by Norton guy, John Socha. Norton Commander, and Captain Norton. Chap who built this – John Socha – also coined the term ‘screensaver’ and made the first screensaver as well! Whatay dude. Norton Commander – an early file management software that inspired several clones. Norton Commander. Created by the guy who also wrote the first screensaver. Midnight commander. There was a DOS attack in the screen saver bundled with MC. John Socha who created Norton commander also created the first ‘screensaver’ and also coined the term.